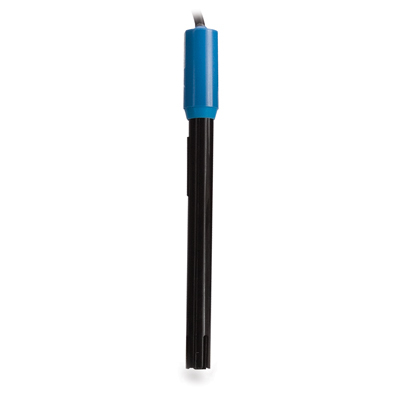 4-ring interchangeable probe with built-in temperature sensor, 1 m (3.3') cable and DIN connector. The potentiometric method eliminates polarization and thus is the most accurate way to measure electrical conductivity in liquids. 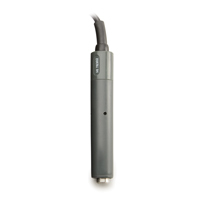 The probe can also measure in a wider conductivity range because it does not suffer from electrolysis. Models with stainless steel and platinum rings are available. The platinum probes are ideal for high temperature applications, are easier to clean and provide more stable readings.